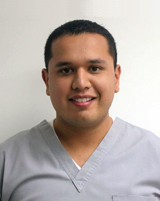 Dental Surgeon - UABC (Mexico). Orthodontics Specialist - UAC (Mexico). Master in Odontological Sciences with Specialty in Orthodontics - San Francisco de Quito University (Ecuador).